One of the, admittedly many, things I love about ordering stationery from Dorkface is that I'm supporting a blogger who I absolutely love and respect. It's so great to know that my pennies are helping her pay her bills, keep buying art supplies and just generally live! I don't usually spare much of a thought for where my money goes when I spend it. But 99% of the time, it's lining some big corporation's, already giant, pockets. Over the last year or so, I've gravitated greatly towards supporting smaller businesses because they appreciate your business so much more. And Jemma really lets you know how much you she appreciates your business with every order. She has, on a few occasions now, included a few freebies in with my orders. She also includes a thank you note - which is a really love touch! And all of your orders come in very distinct packaging that leave you in no doubt your Dorkface order has arrived. Dorkface epitomises the term "happy mail!" I love all of Dorkface's creations but, as you might be able to tell, I'm fanatical about her stickers. 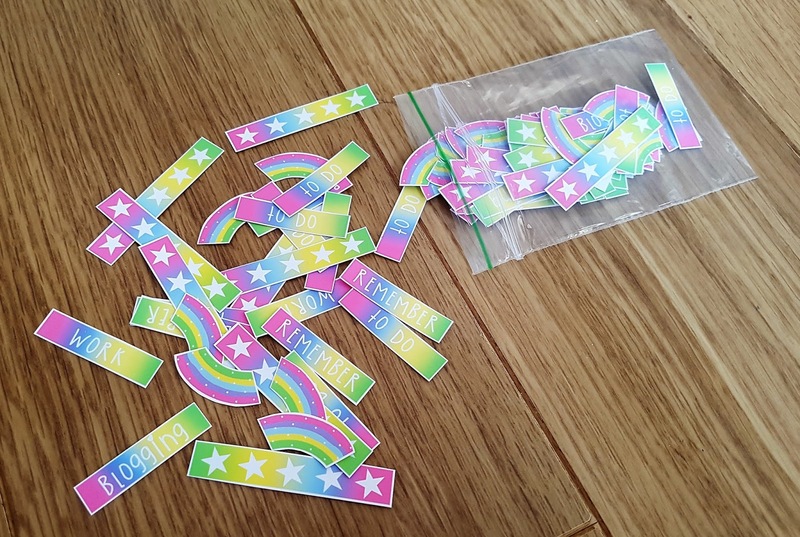 Jemma creates fantastic, colourful, and super useful stickers for bloggers and non-bloggers alike. 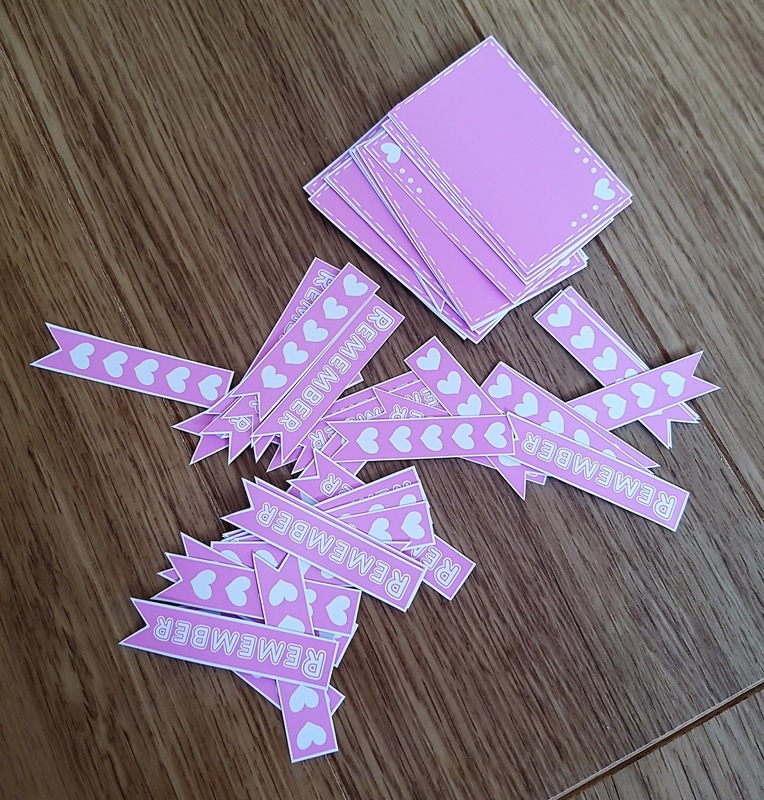 For those of you who are, like me, massive planner nerds, you'll definitely want Dorkface's stickers. From to-do's to blog post reminders; reminders to lists; Jemma sells them all! If planning isn't really your thing (then who even are you?!) Jemma also has a wide range of prints available that would look divine one anybody's living room/bedroom wall! I like to stick the prints I've picked up from Dorkface into my planner, as they can prove to be a real emotional salve or motivational tool! If you like stickers, but not planning, then we really can't be friends. Sorry. 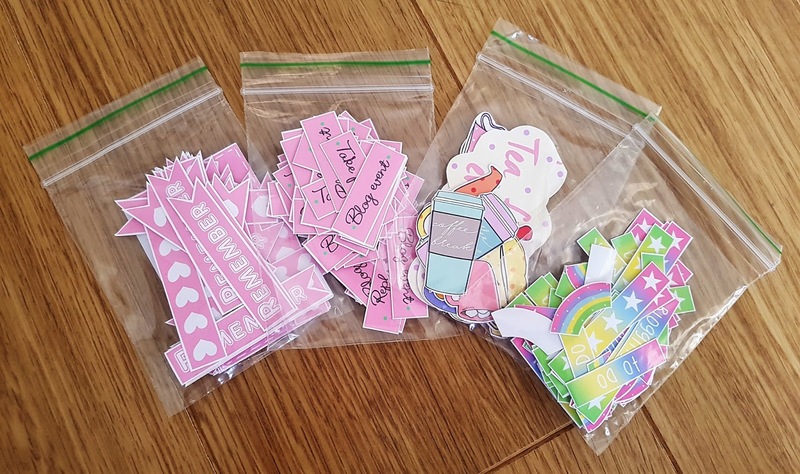 But Jemma produces stickers for all you non-planners too! Take, for instance, these fantastic tea themed stickers. As a massive tea addict, I love sticking these all over the place. 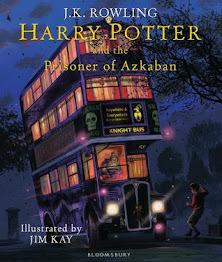 In my planner, on the calendar, all over my laptop! In something of a timely manner, Dorkface also has some really cute Halloween stickers for sale that I've been eyeing up for a few days now! It's not just stickers and prints that Dorkface creates and sells, though. 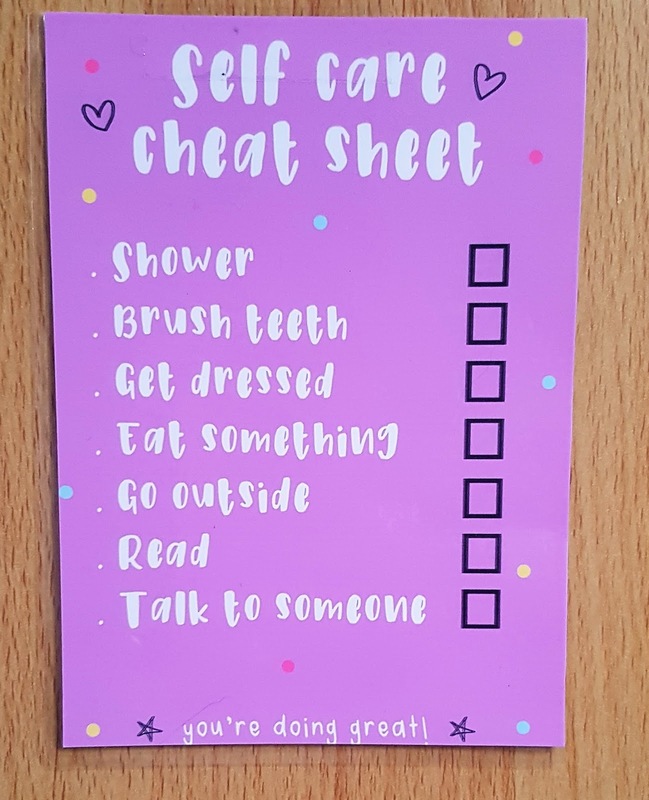 One of her latest creations is this laminated, self-care cheat sheet, which can be personalised with your chosen self-care activities! You can choose to purchase an erasable pen to go along with your laminated cheat sheet, which means you can use this every day, over and over again. Just tick, wipe, tick. Simple! Dorkface has also just added a laminated weekly planner sheet too, which is absolutely on my wish-list! And if all that wasn't enough to convince you to visit Jemma's Etsy shop right now? 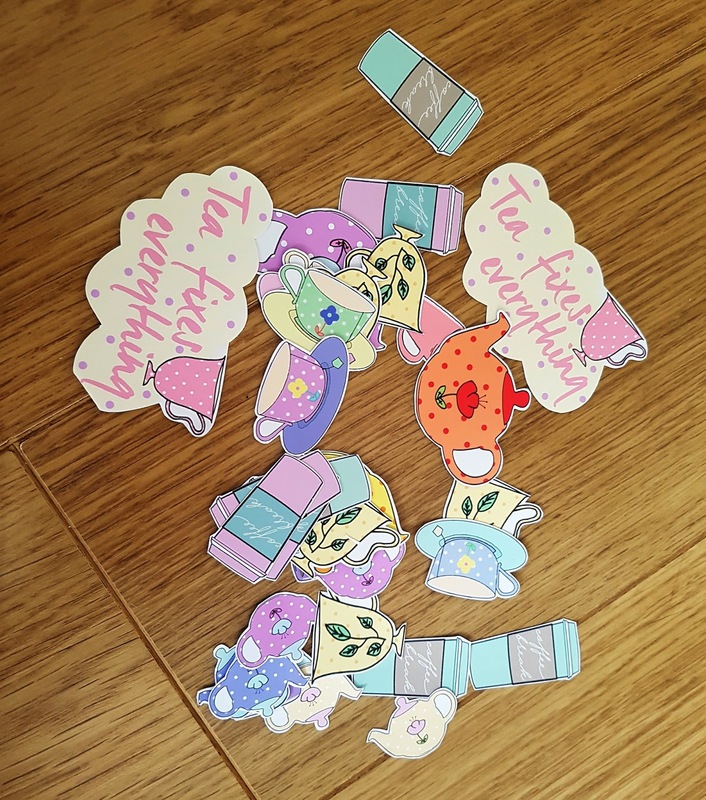 Then how about this...Jemma also creates and sells a number of other products including; custom illustrations, notebooks, jewellery, pocket mirrors and cards! 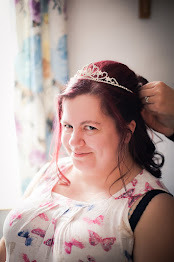 Jemma really is super talented, and I plan to continue supporting her shop long into the future. I hope that, if you don't already, you'll pop on over to her Etsy store and make a purchase. Just remember, you'll be supporting a wonderful artist and blogger, as well bagging yourself some bargain, stationery goals! Are you a massive stationery addict, like me?! I absolutely love the tea set, I bought those too! Previously Jemma has designed me some panda stickers too.